Try, try again is the lesson Crow teaches beginning readers in this picture book reader. Crow was all alone. But like all crows, he was very clever. Using autumn leaves for wings, sticks for the body and a crab apple for the head, Crow made a friend! But winter winds blew in, destroying his creation. Undaunted, Crow fashioned another bird friend out of snow but could not prevent it from melting in the warm spring sun. Alone again, Crow heard the caw, caw, caw of a real, live bird. Together they built a nest and by summer, Crow had a family. This warm, satisfying story, celebrates perseverance and ingenuity. Crow Made a Friend is an especially lovely picture book for children. It tells the story of Crow, who wants a friend. He tries to make a bird out of twigs, but it blows away. He makes a bird of snow, but it melts. Finally he meets another bird, makes a friend, and then makes a family. This is a short picture book. It would be wonderful for a story time read aloud (i.e. for a preschool unit on birds), and it also would be a good book for a beginning reader. The illustrations are vivid and beautiful, and they add much to the story. 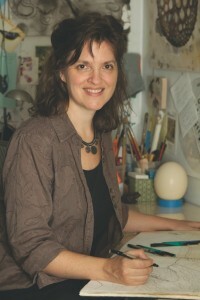 I am a former preschool teacher, have a small online children's bookstore, and love children's books. This book is exceptional in both the lovely, uplifting story and the beautiful illustrations. I cannot recommend it highly enough for a home or school library. One lucky winner will receive a copy of the book (U.S. only). Winner will need to respond to email notification within 48 hours. This would be such a nice gift for my cousin's little one! What a great book. Anyone of the children in my life, would love this. I love collecting children's books and reading to my kids each night. i love the look of the illustrations in this book! beautiful work put into a childrens book! I'd love to read this with my kids. What a sweet book! I would love to read this with my son. Thank you for the chance to win! What a sweet children's book! I love the story line, I think it would be a lot of fun to read to my kids! I am excited to share this book with my family. My greatgrandchildren would love this book. 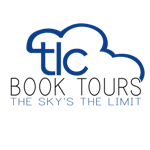 They're very involved with the nature center and its programs. I think my daughters would really enjoy this book! This book must be super cute... It would be so awesome to win.. I would love to give this book to my grandkids. Apart from the try try again message, it is nice that the story is about friends because my daughers are still trying to figure out making friends. My six year old son would LOVE this book!! I would love to win this book for my granddaughter, she loves to read! 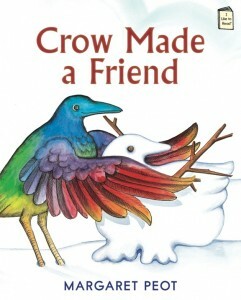 Crow Made A Friend looks like a book my daughter would really enjoy reading. My girls would love this book!! This looks like it would be a cute book! This is such a sweet book. I know my son and daughter would love it. I would love to win and read this beautiful book for my kid, too!